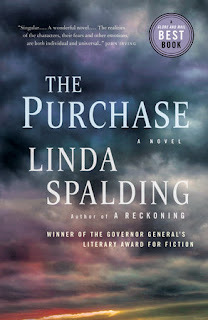 After hearing author Linda Spalding speak about her new book, The Reckoning, I knew that I had to read it predecessor, The Purchase. Ms. Spalding spoke with such passion and almost reverence for the trials that her ancestors struggled through, that I had to learn more about them. At the end of the 18th century, Daniel Dickenson was forced out of his Quaker meeting house and his comfortable life. Along with his children and new, young wife, they trekked south from Pennsylvania to Virginia to carve out a homestead and new life. Along the way, and throughout the next two decades, Daniel and his family faced many challenges to their faith and morality. Each family member had to find their own way to deal with these tests of faith. I was captivated by this fictionalized tale. From my comfortable life, I find it hard to imagine how difficult it was for Daniel to provide for his family. In the current time when people seem to agonize over which flavour of expensive latte to order, it is helpful to be reminded of such hardships that others face even today. I enjoyed the story telling approach. I could imagine the author witting with her family relating the adventures of her ancestors. Not a perfect retelling, but a remember oral account with some gaps and possibly careful omissions. I was brave of Ms. Spalding to open up and reveal the skeletons in her family closet. I would recommend this to readers who enjoy American history as well as family sagas. 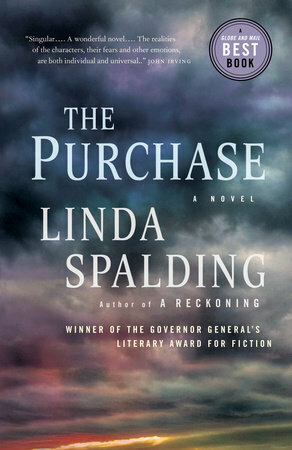 Cover image courtesy Penguin Random House Canada.